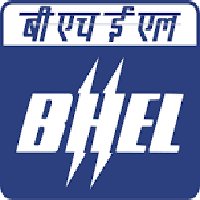 Eligible candidates may apply online at BHEL Bhopal's website (direct link is given below) from 01 Jan 2019 to 21 Jan 2019. Candidates log on to https://www.bhelbpl.co.in. Go to "Jobs & Careers" & Select the desired post. Click on “New Applicants > Apply”, if you are a new user. After applying online applicants need to send the hard copy/print out of online application form along with self-attested documents to Post Box No-35, Post office, Piplani, BHEL Bhopal - 462022 (M.P.). The application with all relevant documents should reach on or before 28 Jan 2019. On Top of the envelope “Application for GGT/Diploma Apprentices 2019-20” should be written. iii. Documents in support of Technical qualification i.e. all semester Marksheets of B.E./ B.Tech/ Diploma & Degree certificate. v. Caste Certificate (SC/ST/OBC) in the prescribed format. (if applicable). viii.Copy of medical token for wards (son/daughter/spouse) of BHEL Employee (Serving/ Retired/ Deceased). ix. Medical Token/ ESI Card in case of BHEL Society worker wards. x. Copy of registration slip showing enrollment/ registration number generated after successful enrolment/ registration.